Mosquito Squad is the largest, most respected and fastest-growing outdoor pest control, including principally mosquitoes and ticks, franchise in North America. We created the category in 2005 and no one has protected more families from outdoor pests or successfully launches more outdoor pest control franchises than Mosquito Squad. Mosquito Squad has been recognized by Inc. Magazine on its annual Inc. 500 | 5000 list of fastest growing private companies for two years in a row. In addition, Inc. recognized Mosquito Squad as one of top 15 fastest growing franchise businesses in the United States for two years in a row. Enjoy building a business to reach your career, lifestyle and financial goals by helping clients to end the problem of not being able to enjoy their yard and outdoor living spaces because of annoying and dangerous insect bites. This affordable, dependable and effective mosquito and tick control product suite also helps end the ever-growing problem of insect-borne diseases like Lyme Disease, West Nile Virus, Encephalitis, Malaria and Dengue Fever. Comprehensive business model and brand are packaged together in the franchise, offering a rich variety of outdoor pest control solutions for both homes and businesses. Committed to ending Malaria deaths in Africa, by partnering with Malaria No More to raise funds and heighten awareness of the problem. In fact, over the last several years Mosquito Squad has donated over $50,000 to Malaria No More. Huge recurring revenue stream due to strong repeat purchases from existing clients. As outlined in Item 19 of the Mosquito Squad Franchise Disclosure Document, approximately three of four seasonal customers renew their service plan each year. This allows Mosquito Squad franchisees to build a business with an “annuity-style” revenue base. Very strong average gross profit margins of 65.1% as described in Item 19 of the Mosquito Squad Franchise Disclosure Document. Exceptional marketing and operational coaching to help you reach your goals from a multi-branded franchisor, Outdoor Living Brands, with well over 200 franchisees across North America. We use a proprietary mix of EPA-registered solution, allowing franchisees to provide clients with outstanding protection from insect bites and their consequences. With rising coastal waters and increasing temperatures furthered by global warming and environmental challenges, the “real need” for mosquito control is greater now than ever, and continues to grow. "Incredible home office support and they're attracting top talent in franchisees which creates an amazing support network and very solid #1 brand." "I always get the sense that we are a a big family, and that anything can be brought to the table. Franchisor is always available when needed." "The opportunity provided in this field by being a leader in the industry is quite good. The marketing support provided by the franchisor has been excellent and they are improving the quality of the training as well." "The nationwide brand strength including product research/development and marketing." "The aggressiveness with which they seek out and improve the technology platforms we use." "They have excellent marketing items that are easily obtained and make our franchise stand out over the competition." 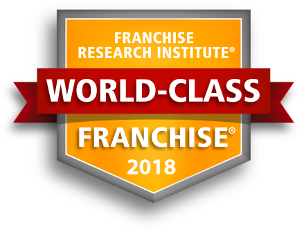 "They provide what is needed for the franchisee to be successful, but allow them tailor their individual operation how it best suits the franchisee." To obtain your FREE report about Mosquito Squad, please fill out the form here.